Officers converge on a home on Hogan Road in eastern White County Friday morning. 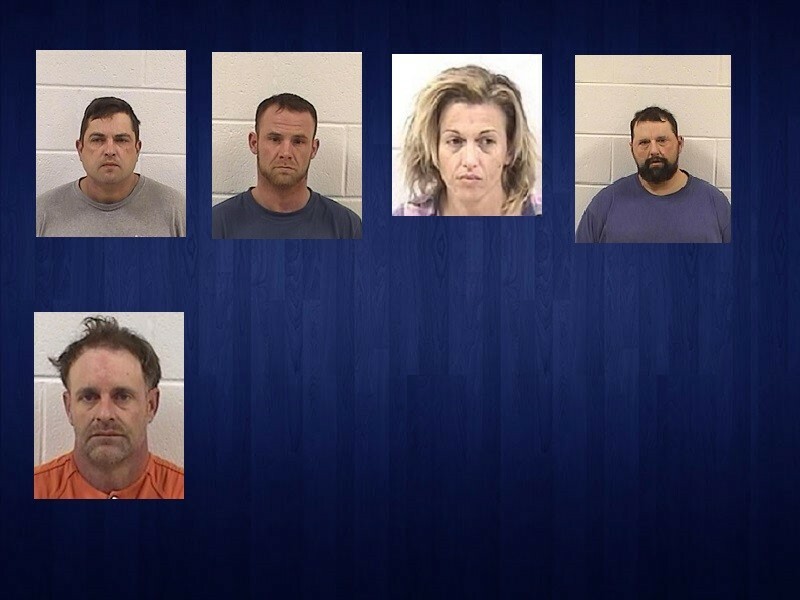 When state officials say a variety of officers and agencies were involved in executing search warrants regarding methamphetamine trafficking at 10 locations in six counties Friday, the magnitude of those raids is not immediately evident. 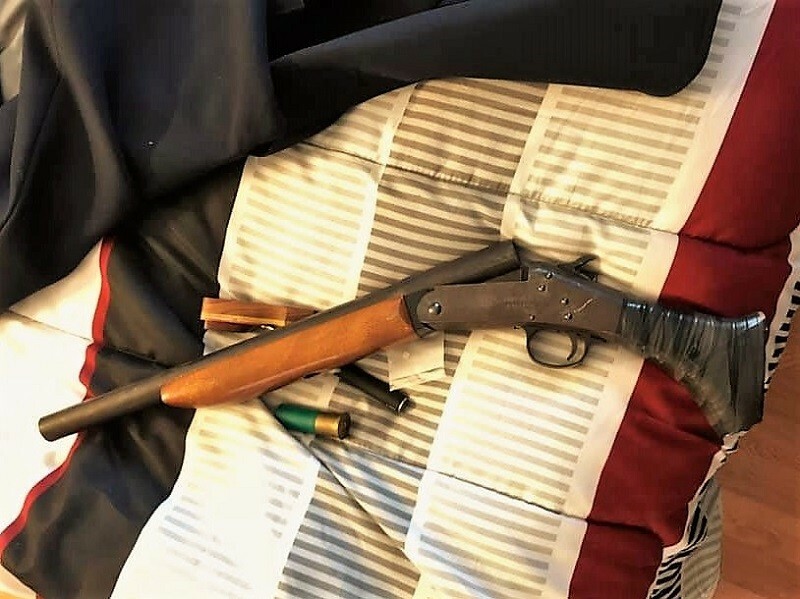 Reading the list of those various teams and agencies and the locations of the searches adds a little clarity to just how much interagency coordination was required by the local, state and federal law enforcement officers involved. 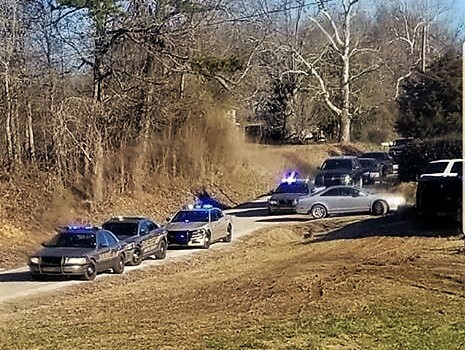 Hall County Sheriff’s Office executed a search warrant at 4384 Todd Road, Braselton, the home of Richard “Richie” Frank Simmons. William Dale Gray, 47, of 621 Homer Road, Commerce. 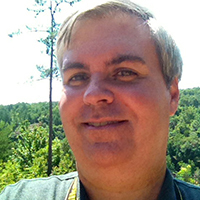 Thomas is serving time in Hancock State Prison for crimes in Lumpkin and White counties. 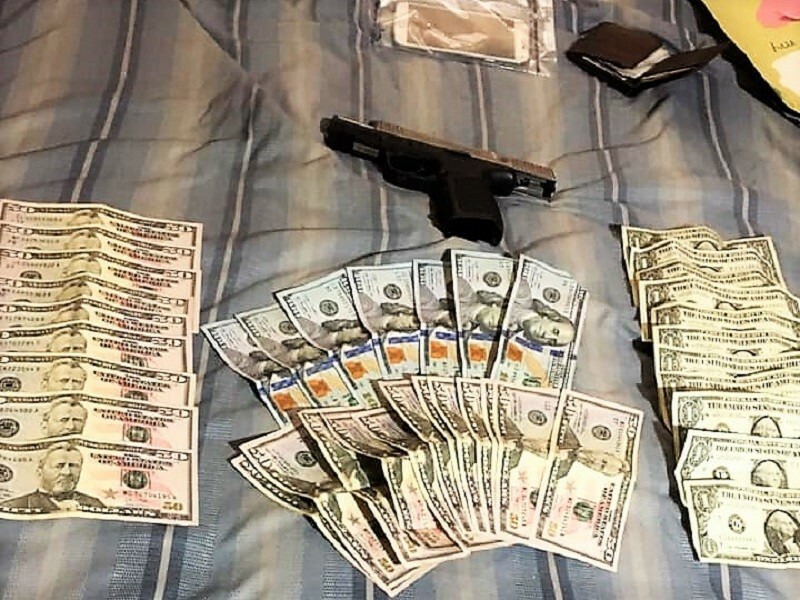 The contingent of law enforcement officers seized approximately nine pounds of crystal methamphetamine, an ounce of marijuana, $13,000, firearms, and numerous vehicles. 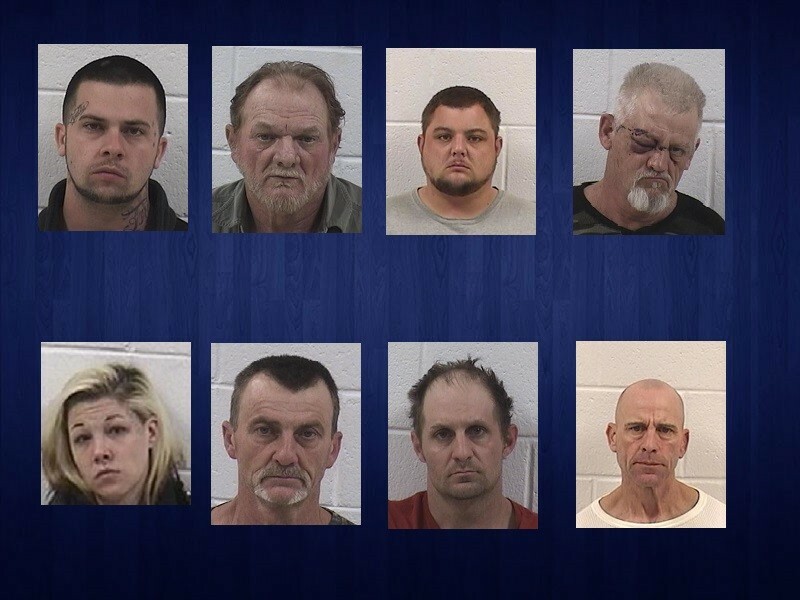 All of those arrested were transported to the Jackson County Sheriff’s Office for processing and booking.